Wise Folder Hider is a freeware used to hide your personal folder(s) or file(s) to somewhere else in your PC or in removable devices, in which way you can protect your privacy with passwords by following easy steps. It is recommended for home and personal use instead of hiding commercial/confidential information which may need further strict encryption. Wise Folder Hider is the No. 1 freeware to hide folders and files including videos, photos, etc. for personal use. Why choose Wise Folder Hider? 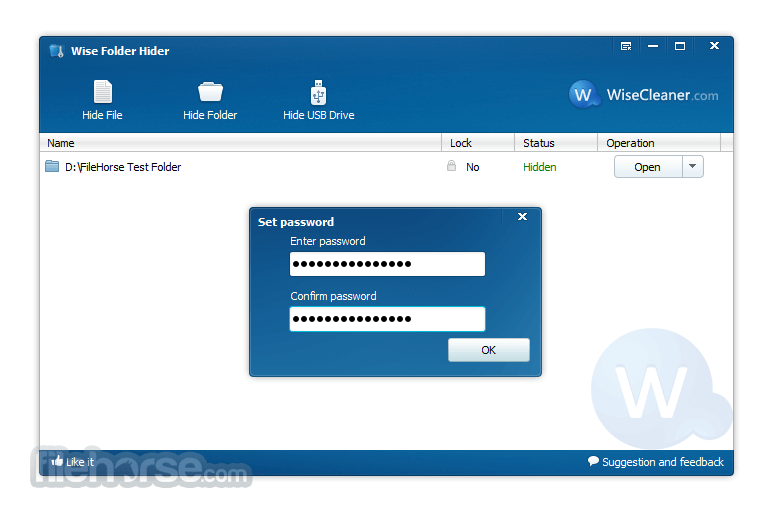 Wise Folder Hider is designed to password-protect your folders and files from being seen, read or modified by the priers. It provides enhanced security for files and folders on your Windows PC, blocking the unauthorized access of your private files or folders. It is an ideal utility for those who are concerned about the security of their personal data. 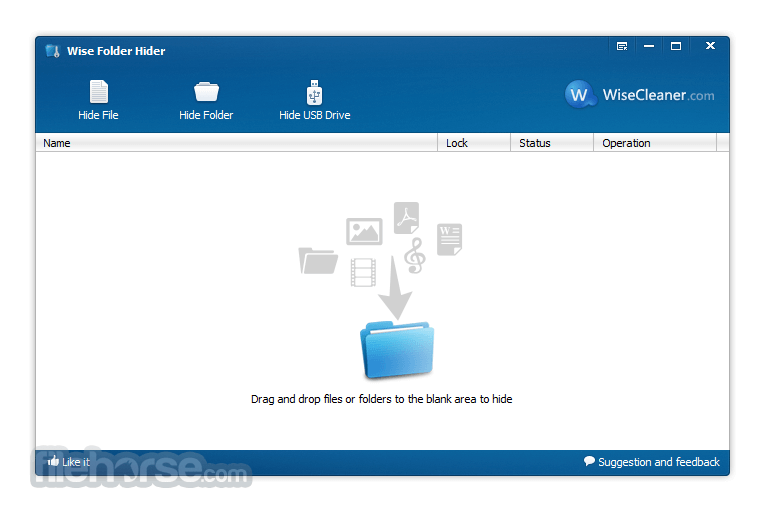 Wise Folder Hider offers users an optional higher level of security. 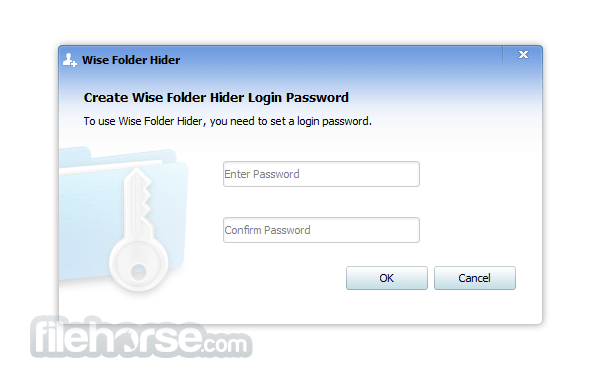 Users can set a second password for each of the files and folders hidden by Wise Folder Hider. For those who have some real confidential files, they can rest assured knowing that their hidden files are double secured. Wise Folder Hider is freeware that allows you to hide files or folders (64 and 32-bit) in your Windows system. It has been developed and fully tested to work great on Windows 8 & 8.1 and other Windows operating systems, from Windows XP and up. No matter what you own - a desktop or a laptop. Note: The following features are blocked in the unregistered version: encryption of hidden files/folders, automatic retrieval of passwords, automatic updates, premium tech support.